Headaches are a common problem in today’s society and in the computer era. They have increased in frequency and many adults in the United States have at least one bad headache every month. In a survey of more than 1 million individuals in the general population, headaches were the most frequent current physical complaint among men and women. In a report of lifetime headache histories, 41% of men and 50% of women experienced severe headaches that rendered them unable to work. For most people, they get better with rest and over-the-counter medications, however, for others, they occur so frequently or are so severe that they interfere with the normal activities of daily life. Some people with frequent headaches fear that the pain signals the presence of some life threatening condition, although it is rare for them to be caused by serious medical illnesses. However, people who have very severe episodes that are getting progressively worse or that are associated with fever, weight loss, fainting, confusion, or dizziness should be thoroughly evaluated by a medical doctor. There are many types, but the three most common are migraine, tension and neck related (cervicogenic). The different types have symptoms in common and the table below indicates how to differentiate among them. A 2017 study in The Journal of Headache & Pain indicates a high prevalence of individuals suffering migraines along with tension headache and neck pain. You don’t have to have just one type of headache and often they can coexist, complicating diagnosis and treatment. In this study, the authors found 67% (100) out of 148 individuals suffered from coexisting migraine with tension headaches and neck pain. In these individuals, lower levels of physical activity, decreased psychological well being and self rated health, along with higher perceived stress were noted. In a 2015 edition of the journal Cephalalgia, it was indicated that the prevalence of neck pain in migraine and tension type is higher than in the general population. 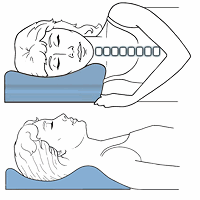 They indicated that those with neck pain suffered higher myofascial tenderness associated score. It is a given that cervicogenic is related to the neck, but neck pain symptoms should be addressed in both migraine and tension types as well. Another 2015 study in Cephalalgia found that individuals suffering tension type have much weaker neck muscle strength, particularly in extension or tilting the head back. They noted this decrease in strength led to an imbalance in head motion. According to a 2014 study in the journal Headache, neck pain significantly contributes to disability from individuals suffering migraines. Therefore disability from neck pain is associated with disability from migraines, both chronic and episodic types. A 2019 study in the Brazilian Journal of Physical Therapy found that women suffering migraines display a reduced upper cervical range of motion than headache free women. 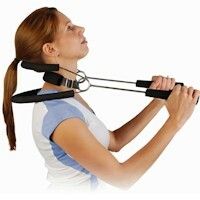 They also had reduced global or total cervical range of motion. The reduced mobility was related to headache frequency and neck pain related disability. According to a 2015 study in the Clinical Journal of Pain, exercise is effective for chronic tension type as well as migraines. Aerobic exercise is best to help in the prevention of migraines, while neck and shoulder exercises are best for tension type. A study in the 2010 Journal of Headache and Pain suggests that if you have migraine or tension-type and they are worse in the Fall and Winter, you may have an insufficiency of vitamin D.
A 2016 study in the Functional Neurology journal confirmed a connection to melatonin. In the study, the authors used 4 mg of oral melatonin administered 30 minutes prior to sleep for a period of 6 months. The authors of the pilot study found a significant difference, especially for migraines, but tension type as well. The results indicated improvement in frequency as well as quality of life, suggesting this dose of melatonin as preventative therapy. A 2019 study in the journal Current Pain & Headache Reports found evidence for a postural trigger in relation to tension-type and cervicogenic headache. Postural dysfunctions cause stress in the neuro-muscular system resulting in many possible symptoms. 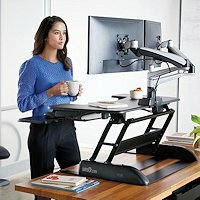 Attention to lower back and especially cervical spine posture in the form of exercise, additional methods found at NeckSolutions, and attention to the growing need for improved ergonomics may certainly help. People often ask about home remedies. The better you can determine which type you have, the better your chances are of getting relief. This usually requires some type of lifestyle modification(s) or treatment to specific areas, such as the neck or taking certain medications. Regardless of trying home remedies, you should keep a diary to monitor what helps and what doesn’t, and what triggers them. This will assist a doctor in finding the right treatment. Suggestions for home remedies are just suggestions and they may or may not work. More commonly, Acetaminophen (Tylenol) or ibuprofen (Advil, Motrin), naproxen (Aleve, Naprosyn), or other nonsteroidal anti-inflammatory drugs may help. Drink plenty of water because dehydration can be a big cause. Drink something with caffeine. This can help in some cases and make it worse in others. Caffeine can restrict blood vessels and lessen pain, it is a constituent of some over-the-counter pain medicines, but it can also trigger a headache for some people and if someone uses caffeine excessively, it can cause rebound headaches and make existing ones worse. Tying a headband around the head is a practice that’s been done since ancient times, but some people claim it works. There is a headache pressure point in the hand and stimulation of this point may provide relief for some. Fish or Krill Oil may reduce inflammation and restrict the blood vessels in your temples. Peppermint oil can be rubbed on the part of your head that hurts. Eating ginger or taking ginger capsules may help some. Magnesium, when taken in doses of 400 to 600 milligrams per day is effective for menstrual associated migraines and migraines associated with auras, however, it may cause diarrhea if you take too much. Vitamin B2 (Riboflavin) in doses of 400 milligrams a day can act as a preventative for migraine headaches. It may cause frequent urination or darker color urine, so dosage may have to be adjusted. CoEnzyme Q10 at 300 milligrams per day has proven effective in reducing head pain, however, this can be expensive. Butterbur, a plant grown in Germany, can be taken in pill form and it is effective in treating migraine pain, asthma and can alleviate upset stomachs. Cold or hot compress may have a distracting effect and a lot of people suffering from headaches swear by it. 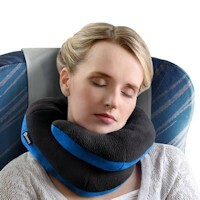 The headache relief pillow uses a built in ice pack in a u-shaped travel type pillow that is popular for this. There are certainly other types of headaches, although most fall into the main three categories. Obviously, medication overuse headache is in a class by itself and withdrawal is paramount, however, this must be strictly managed by the prescribing doctor. 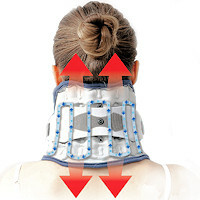 Interestingly enough, were are finding more headaches related to the neck as well. A 2019 study in the Journal of Manual and Manipulative Therapy found that self reported sinus headaches are commonly associates with neck pain and cervical musculoskeletal dysfunction, indicating it may be a comorbid (separately associated) feature or contributing factor to headaches attributed to rhinosinusitis. Dr. Steve has treated thousands of neck, shoulder and back conditions since graduating Chiropractic College in 1987 and during his involvement in Martial Arts. He holds certifications as a Peer Review Consultant, in Physiological Therapeutics, Modic Antibiotic Spinal Therapy, and specialized further in Myofascial Release Techniques. 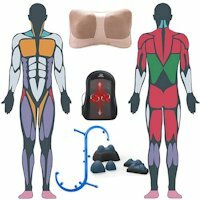 No longer in active practice, he authors articles for NeckSolutions and works with special products for ALS patients as well as other neuromuscular conditions.